Finally, there's a solution for playing better golf (right). 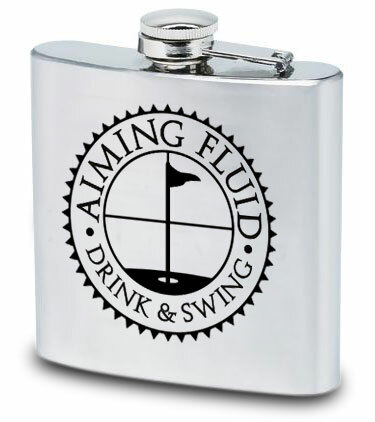 Just fill with your favorite beverage and take dead aim at your target. You'll still make the terrible shots but you just won't care as much. The heavy-duty, but light-weight, stainless steel composition will not easily scratch or tarnish, making this size flask the most reliable method of storing beverages for personal use. The screw down cap on this hip flask ensures that no liquid will escape the flask when you are on the move. The cap is also attached to the flask so you will never have to worry about losing it! Individually Leak Tested for Quality Assurance!